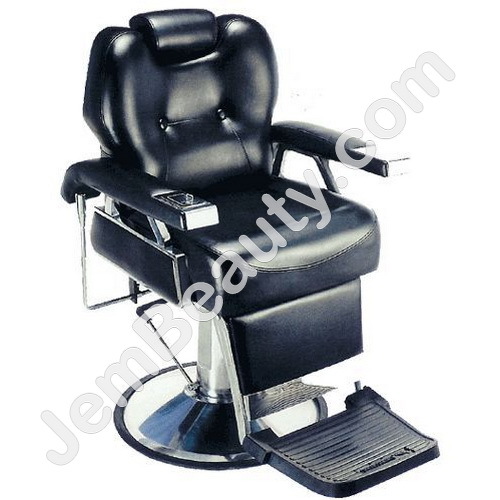 Elegant black swivel barber chair. This relaxing chair features a wide footrest and padded armrests reclines while calf-rest raises legs. Armrests are black vinyl with chrome supports.